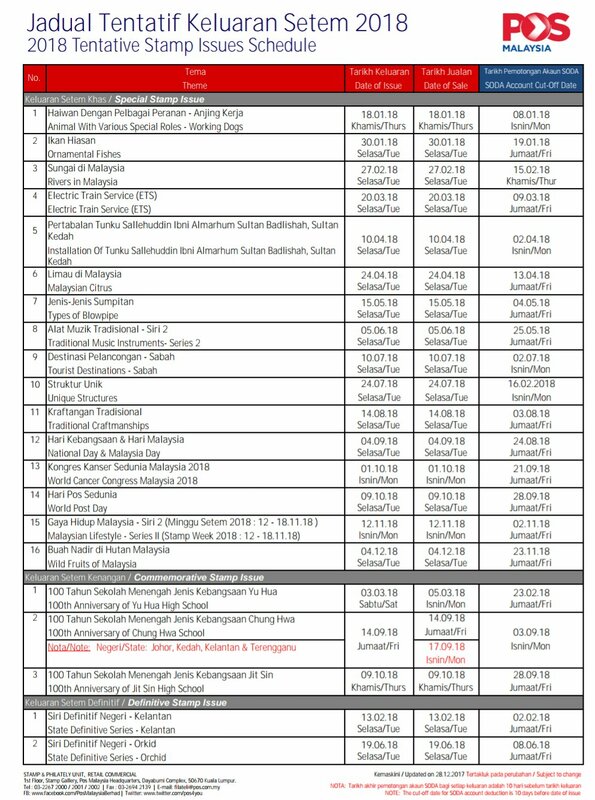 Finally the 2018 Malaysia Stamp Issue Schedule is released. As usual expect changes. It is another massive 21 issues not counting on specials that will be released along the way. May I wish all readers, all the best in 2018. How I am going to join the members & buy the fdc? Meanwhile, myfdc caters mainly to specialised match cancellation FDCs (concordant FDCs) that we make ourselves. hi, how can i buy issued stamp by online ?